San Francisco Salt Company earned their superior Good Manufacturing Practices rating with a third-party inspection of their gourmet salt facility last month. SAN FRANCISCO, June 10, 2015 /PRNewswire/ -- San Francisco Salt Company (SFSC), a leading online supplier of retail, bulk, and wholesale sea salts from around the globe, announced that they have recently received a "superior" GMP (Good Manufacturing Practices) rating of their gourmet salt production facility. The third-party inspection audit was conducted in late May by SCS Global. SCS Global is a trusted leader in third-party environmental, sustainability and food quality certifications. GMP regulations require a strict quality approach to manufacturing, requiring companies to minimize or eliminate instances of contamination, mix-ups, and errors in order to receive certifications. GMP regulations address issues such as recordkeeping, personnel qualifications, sanitation, cleanliness, equipment verification, process validation, and complaint handling. SFSC is proud of their 98.4% superior approval rating, and is honored to have received it on their initial attempt. A third-party certification helps to build customer confidence by providing an independent perspective of the company's quality standards. Since early 2002, SFSC has been selling salts and driving themselves towards continuous improvement. 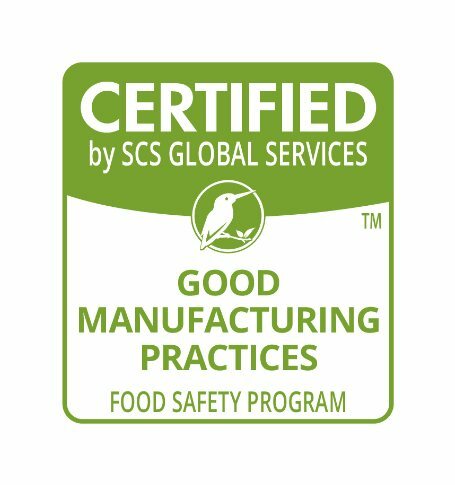 "Achieving GMP certification validates our food safety program and demonstrates our constant commitment to supplying safe, high quality products to our customers. This is an achievement that all of our employees are proud of helping to make happen," said Lee Williamson, company Founder and President. Receiving the GMP certificate also allows SFSC to pursue larger customers and marketplaces that require a more controlled system and quality inspections. This is something Lee Williamson is very excited about. "Working with larger food suppliers and being able to get on the shelf of larger chain stores is very important for the growth our brand," says Williamson, "the ball is rolling, and gaining momentum, to make San Francisco Salt Company a household name." Williamson is excited to get some of his company's specialty salts, like their French Fleur de Sel and their new BBQ ready Smoked Salts, in stores and easily accessible for the home chef. SFSC's wide variety of salts is sure to keep those with a curious culinary palette busy. When asked if there was difficulty or worry about passing the audit, Williamson replied, "Not at all. We have always held ourselves to exceptionally high internal quality standards and have extensive processes and procedures in place throughout the whole company." And the high standards show: "When visiting our facility," says Williamson, "our customers are thoroughly impressed by not only our clean, neat and organized warehouse, but also the quality control procedures we have in place. However, the crucial third-party GMP audit was a formerly missing element for the future growth of the company." Salt, as a dry product and natural disinfectant, lends itself to both easy and clean storage. The newly enacted certification joined with their internal regulation guarantees the cleanliness SFSC has long been delivering. SFSC has opened for themselves another door of opportunity; one which will allow the company to reach substantial new markets. SFSC is a salt based company that designs, develops, and distributes its own product line. They have an extensive line of gourmet sea salts, including Himalayan Salt and Smoked sea salt, as well a broad spa line including Epsom Salt, Dead Sea Salt and salt based body scrubs.